Description: Located away from major population areas, the Longtian (Lung-T'ien) air base is a military airfield with a hard-surface, greater than 8,000-foot runway. 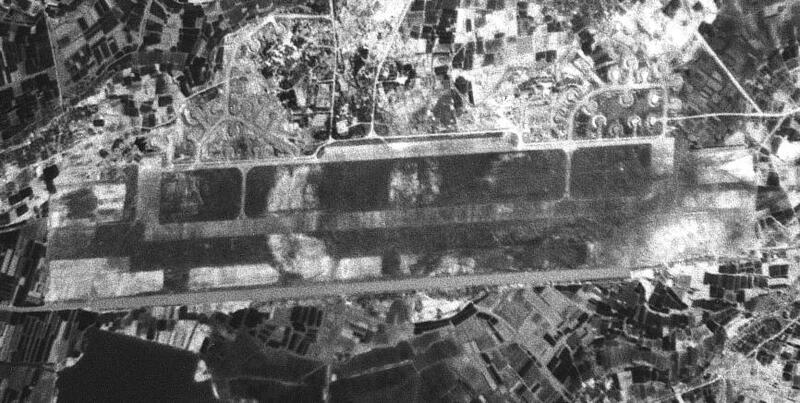 An alert hardstand stands at each the end of the runway with nearly 30 revetted hardstands deployed through the area, each capable of holding one to three fighter aircraft. A possible weapons storage area (WSA) in the northern part of the base for the storage of bombs and munitions for ground-attack aircraft. 30 to 90 combat aircraft can be stationed at Longtian. 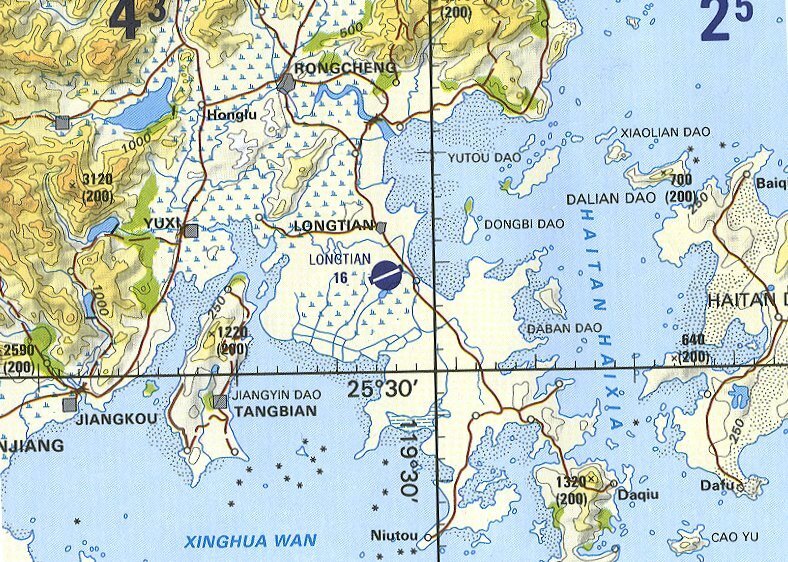 A report in March 2000 revealed that the PLA Air Force was building air defense base near Longtian. These batteries are likely comprised of Russian S-300 missiles. These air defense batteries could be located at the western end of the base.